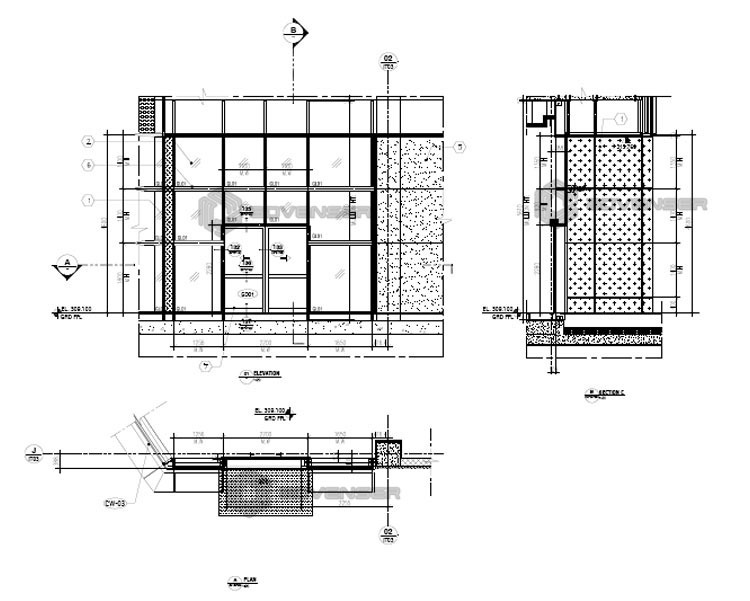 Our Façade 2D Drafting services include Architectural CAD drafting and detailing for entire Façade i.e. Curtain Walls, Structural Glazing, Composite panel cladding, Canopies, Structural and Architectural Awnings, Skylights and Internal/ External Doors & Windows. We have Façade teams specialized in SCHUCO, GUTMANN, GULF EXTRUSION JANSEN ECONOMY, JANISOL, VISS, ALCOA, PRESTO Systems. The overall aesthetic and usability of a building depend a lot on building facades. Façade engineering is the specialty which deals with contributing component factors of a façade structure. Building Façade engineering of a building decides its appeal and preventability at the same time it is influenced by environmental factors. Façade of a building should be such that it is environment-friendly and support the green concept. Modifying the façade of an existing building may drastically improve its technical performance. Building façade engineering controls the lighting, acoustics, and temperature inside the building. 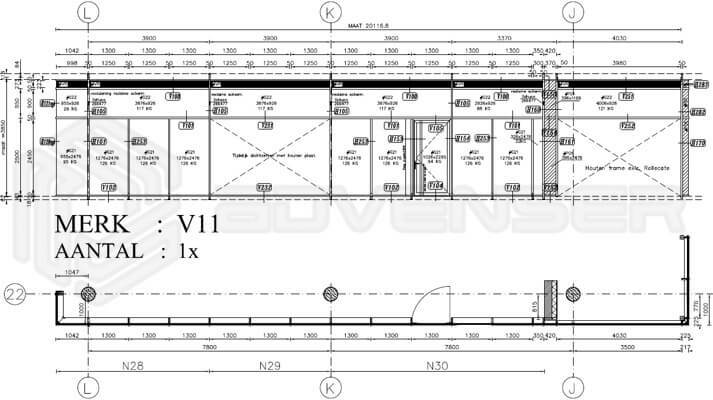 We are experts in producing Facade construction document set in CAD as required by the client for submittal. We follow Client’s Cad façade standards. Once the project is approved and awarded by a client, we always stick to the same standards and templates for future projects of that particular client, to ensure Quality and consistency of our drawing. Our façade engineering team works in conjunction with architects, general contractors, structural contractors, acousticians and construction companies to improve overall performance, durability, schedule, and cost of a building. We provide a total building façade envelope solution and ensure that each component is compatible with one another. We have a dedicated and specialized Facade team headed by a senior project manager and include senior draftsmen and expert architectural CAD engineers. We provide facade 2D/ 3D detailing & drafting for external & internal frameless glass partitions, doors & windows. We follow the same standards for all projects from a particular client, to ensure quality and consistency of our drawing. We ensure you the most cost-effective façade drafting & detailing services with a quick turnaround time. 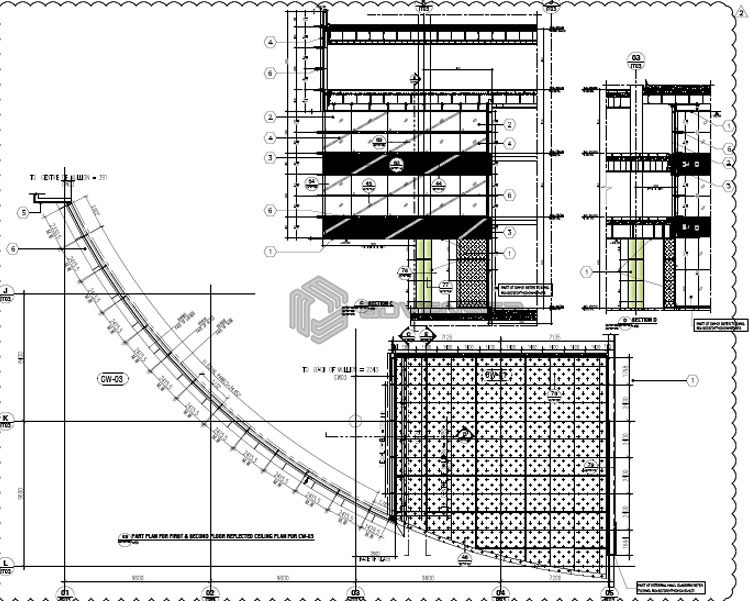 We are experts in producing façade 2d & 3D drafting & detailing services using sophisticated tools.